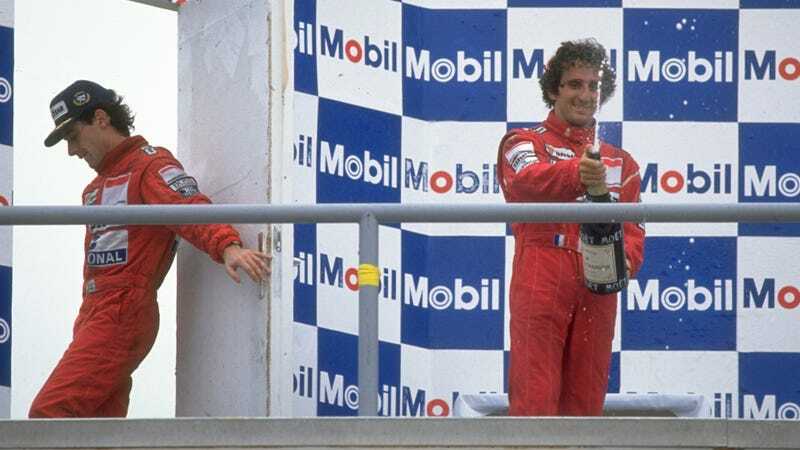 Prost Says Senna Documentary Creators "Are Wrong"
Alain Prost, France's four-time Formula One world champion refuses to watch the Oscar-snubbed documentary Senna. Saying he thinks the writer and director got the story wrong. World Car Fans picked up Prost's interview with a Russia's F1News.ru. No I do not want to watch it. I absolutely do not agree with how it's done. I spent a lot of time trying to explain to its creators that they are wrong. This isn't surprising news, given how the documentary depicts Prost in a calculating, political, and perhaps even villainous light. Now someone should go out and film the history of Prost so we can see things from the perspective of "Le Professeur."